IDKhow were robbed while performing in Los Angeles Tuesday evening, and now police have identified a suspect. I DONT KNOW HOW BUT THEY FOUND ME (IDKhow) were robbed while the two were in Los Angeles Tuesday evening. 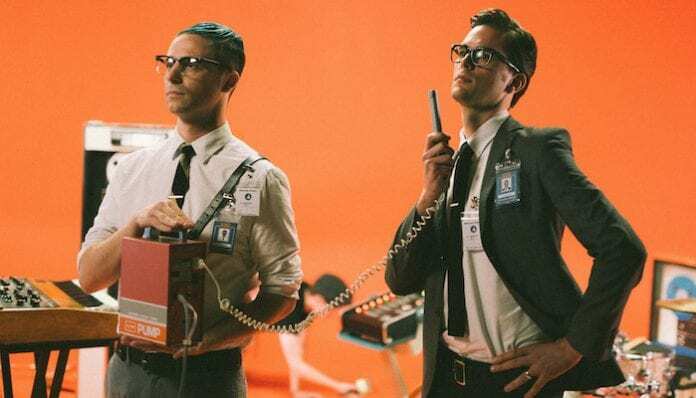 The duo, consisting of Dallon Weekes and Ryan Seaman, shared the news of the robbery by posting a series of tweets Wednesday morning. Now, Los Angeles Police are requesting help in identifying the suspect. IDKhow were performing at Hollywood’s Hotel Cafe Tuesday, and Weekes returned to his hotel room at Dream Hollywood after the show. There, he discovered more than $10,000 in personal items and gear were stolen, according to a press release. Some of the items stolen include a Fender 1981 Precision bass guitar, a peddle board, a laptop with new IDKhow tracks, an iPad, Weekes’ passport and all of his personal belongings. Weekes posted an image of the missing bass on Twitter (seen below). A security camera caught the suspect, and police are releasing an image from the footage (seen below). While the band haven’t released a way to help, police are asking people to call the LAPD at 800-222-8477 if you recognize this person or have any information. Each member issued their own statements Wednesday morning after the robbery, which happened in Weekes’ hotel room Tuesday evening. Weekes’ wrote in his tweets that all of his personal belongings and gear were stolen from his room, but, to add insult to injury, he also revealed that he lost all of his work on the band’s debut record. Turns out @DreamHollywood is more like a nightmare. All of @idkhow ‘s gear and my personal property was stolen from my room tonight. Bummer, eh? Not sure how we’re going to pull a show together for our upcoming tour now. They took everything. Not a great night. Not just gear, but the tracks we need to put on a live show. And all the backups. We have nothing. Weekes’ then tweeted out a few hours later that the hotel was able to obtain footage of the person who stole the items out of his room. Update @DreamHollywood has footage of the person who stole our stuff & they know what room they came from. Im keeping my fingers crossed that the person still in that room does the right thing & helps us track the gear down. If not, the police can help them track it down instead. Like how does a hotel like @dreamhollywood let that happen?? Let them know how you feel! There’s cameras everywhere in the place! I know it!! IDKhow frontman Dallon Weekes took to Twitter to offer an update on the robbery. Police have tracked down the dudes who stole all of our stuff. SO they can either bring it all back and we can forget the whole thing, or they can get arrested. Keep your fingers crossed that they do the right thing. If they don’t, then I’ll be a little busy trying to make tour still happen. Thanks for all the well wishes. I hope it turns out the way we all want. The band hasn’t shared any information regarding ways that fans can help. Additionally, the band is set to release their debut EP, 1981 Extended Play, next month. The six-track EP drops Nov. 9 via Fearless, and preorders are available now. IDKhow is scheduled to be joining Super Whatevr, NG and De’Wayne Jackson in opening for Waterparks’ Entertainment tour this fall. You can check out a full list of dates below.